The Dabney S. Lancaster Community College received a wildland firefighting bulldozer and transportation truck from the Virginia Department of Forestry on Tuesday. The equipment had been retired from firefighting service and will now enhance the school’s forestry training program. The Virginia Department of Forestry is seeking 13 species of acorns or nuts that can be planted at its Augusta Forestry Center. Twenty members of the Virginia Department of Forestry are leaving today to assist with the hurricane recovery efforts in Texas. 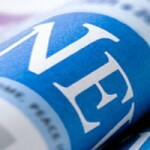 Virginia’s tree seedling store opens Tuesday, January 10th, at 10 a.m. Orders may be placed online at buyvatrees.com. The Virginia Department of Forestry will receive increased funding for two vital forestry programs that the Virginia Farm Bureau Federation has supported. 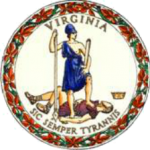 The Virginia Department of Forestry will receive increased funding to support two vital forestry programs – the Reforestation of Timberlands program and the fire suppression program. James “Jim” Schroering is the Virginia Department of Forestry’s new Longleaf Pine and Southern Pine Beetle Prevention Coordinator. Virginia Department of Forestry wildland firefighters from eastern and central Virginia are being detailed to far Southwest Virginia this week. Gov. Terry McAuliffe’s budget proposa includes funding to address forest sustainability and critical public safety needs at the Virginia Department of Forestry. To thank them for their service, U.S. military veterans can save 15 percent off their tree seedling orders the week of Nov. 9 – 13, according to officials at the Virginia Department of Forestry. Daylight is getting shorter; nights are getting cooler. Sure, summer has officially ended, but more importantly, fall wildfire season is here. And officials with the Virginia Department of Forestry want to keep you and your family safe from the ravages of wildfire. Virginia’s tree seedling store opens Monday, October 5, at 10 a.m. Orders may be placed online at www.buyvirginiatrees.com or by calling Augusta Forestry Center at 540-363-7000 or Garland Gray Forestry Center at 804-834-2855. Well-managed, productive forests offer numerous conservation benefits, but the long growth cycle of trees can present a financial challenge for landowners seeking to retain working forestlands. 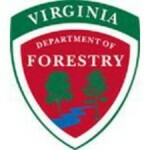 The Virginia Department of Forestry has selected Andres (Andy) Alvarez as its Chief of Administration, effective June 10, 2015. 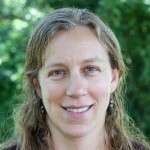 Alvarez is the Director of the Division of Consumer Protection at the Virginia Department of Agriculture and Consumer Services. As the threat of wildland fire continues to grow in Virginia, preparing people to fight these fires is vital to preventing the loss of lives, homes and other property. Crews battling the Short Hills Fire in Botetourt County have made significant progress in the suppression effort. Firefighters using hand tools on the steep and rocky terrain have constructed a ¼-mile-long line between the fire and unburned areas on the mountain. The Short Hills Fire in Botetourt County continues to be the most significant and difficult to suppress wildfire currently burning in Virginia. The 75-day spring wildfire season in the Commonwealth begins Sunday when the 4 p.m. Burn Law (which allows burning only between 4 p.m. and midnight) goes into effect. Citizens are reminded to be extra careful with any open-air fire from now through April 30. Governor Terry McAuliffe announced that a Virginia Department of Forestry resource conservation project is among 110 high-impact projects nationwide set to receive more than $370 million through the USDA. Augusta County Fire and Rescue is hosting a workshop to give homeowners that live in wooded areas of the County an opportunity to learn how to protect their homes from wildfires. Officials at the Virginia Department of Forestry remind all hunters that Sunday hunting on State Forests is prohibited. With fall’s cooler days approaching, state officials are urging Virginians to buy their firewood from local sources and to make sure they get all the wood they pay for. The Virginia Department of Agriculture and Consumer Services announced the detection of Emerald Ash Borer (EAB) in additional counties in the Commonwealth; the newly infested counties include Alleghany, Bath, Fauquier and Page.